Met-L-Flo is a Chicago 3D printing company that applies the process of additive manufacturing in many manufacturing and prototyping jobs, including rapid prototyping and direct digital manufacturing. Additive manufacturing works by adding thin layers onto other prototype layers, using a wide range of practical materials such as metal, concrete and plastic. This technologically advanced process is used with many types of prototyping by the industry professionals at Met-L-Flo. For complete information about the professional services for additive manufacturing in Chicago, call Met-L-Flo toll free 1-800-MET-L-FLO and speak to a knowledgeable representative. Or simply fill out the contact form on this page and we will get back to you shortly. At Met-L-Flo, trained technicians utilize computer aided design (CAD efficiently and accurately with additive manufacturing processes. Your prototype or digital model is sketched using CAD before one of the prototyping or manufacturing processes begins. Additive manufacturing is a design-driven manufacturing process, as the design is the determining factor in choosing the method of manufacturing. Exceptionally complex structures are developed that are both lightweight and stable, allowing for a higher level of designing freedom. One of the most convenient benefits of additive manufacturing from Met-L-Flo is the impressive turnaround time. Additive manufacturing is design-friendly and helps get the physical prototype in your hands quickly without compromising the structural integrity of your design. Trust the industry experts at Met-L-Flo to navigate the proper application of today’s complicated and ever-changing technologies. Talented designers and technicians have a passion for the industry and take great pride in bridging the gap between prototype and production. Let Met-L-Flo, Inc. design and create custom prototypes using addictive manufacturing to your needs and specifications. 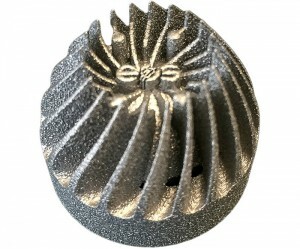 If you have any questions about the process of additive manufacturing in Chicago or information on the complete line of 3D printing products and services available at Met-L-Flo, call toll free 1-800-MET-L-FLO, or simply fill out the contact form on this page and a qualified associate will respond to your inquiry promptly.